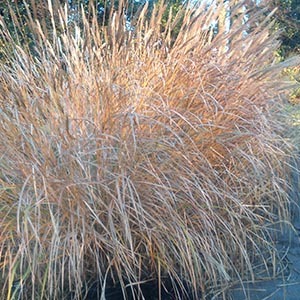 This elegant grass forming arching stems of golden panicles of flowers is a wonderful sight in the winter. At this time of year you just want to touch its feathery flower heads, but it looks even better with an overcoat of frost and snow. This is a deciduous grass that can keep its leaves if the weather is not too cold. It should be cut back to ground level sometime between February and March.